The detailed master plan for the China Pakistan Economic Corridor stretching out till 2030 has come out. The exclusive report filed by Pakistani daily Dawn reveals Chinese intentions and priorities for in Pakistan, to be implemented in the next decade and a half. The detailed master plan for the China-Pakistan Economic Corridor stretching out till 2030 has come out. The exclusive report filed by Pakistani daily Dawn reveals Chinese intentions and priorities for in Pakistan, to be implemented in the next decade and a half. According to the daily, the 'long-term plan' was developed by China Development Bank in December 2015 after a thorough study of Pakistan for two years. The plan contains details that have not been discussed in public thus far. The CPEC will alter the life of Pakistanis through changes in agricultural land allotments, monitoring and surveillance infrastructure, fibre optics network, open markets to Chinese businesses, including electronics, textiles, garments, building materials, etc. #Thousands of acres of agricultural land will be leased out to Chinese enterprises to set up “demonstration projects” in areas ranging from seed varieties to irrigation technology, the report said. #CPEC master plan also includes a full system of monitoring and surveillance to be built in cities from Peshawar to Karachi, with 24 hour video recordings on roads and busy marketplaces for law and order. #A national fibreoptic backbone will be built for the country not only for internet traffic, but also terrestrial distribution of broadcast TV, which will cooperate with Chinese media in the “dissimenation of Chinese culture”. #The plan envisages a deep and broad based penetration of most sectors of Pakistan’s economy as well as its society by Chinese enterprises and culture. Its scope has no precedent in Pakistan’s history in terms of how far it opens up the domestic economy to participation by foreign enterprises. #In some areas the plan seeks to build on a market presence already established by Chinese enterprises, eg Haier in household appliances, ChinaMobile and Huawei in telecommunications and China Metallurgical Group Corporation (MCC) in mining and minerals. #In other cases, such as textiles and garments, cement and building materials, fertilizer and agricultural technologies (amongst others) it calls for building the infrastructure and a supporting policy environment to facilitate fresh entry. #A key element in this is the creation of industrial parks, or special economic zones, which “must meet specified conditions, including availability of water…perfect infrastructure, sufficient supply of energy and the capacity of self service power”, according to the plan. #But the main thrust of the plan actually lies in agriculture, contrary to the image of CPEC as a massive industrial and transport undertaking, involving power plants, and highways. The plan acquires its greatest specificity, and lays out the largest number of projects and plans for their facilitation, in agriculture. The Dawn report adds that the newspaper is not clear on how much of the plan will be earnestly followed up and how much is there simply to evince interest from the Pakistani side. 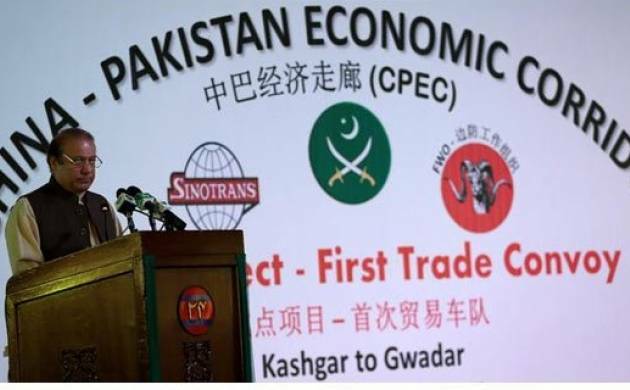 Interestingly, in the areas of interest contained in the plan, it appears access to the full supply chain of the agrarian economy is a top priority for the Chinese, while Gwadar receives passing mention as an economic prospect, mainly for its capacity to serve as a port of exit for minerals from Balochistan and Afghanistan.